In partnership with Stanford University School of Medicine and GVK EMRI, we, Medical Technology at Berkeley (https://mtab.berkeley.edu), are developing an online platform in South Asia for medical education. 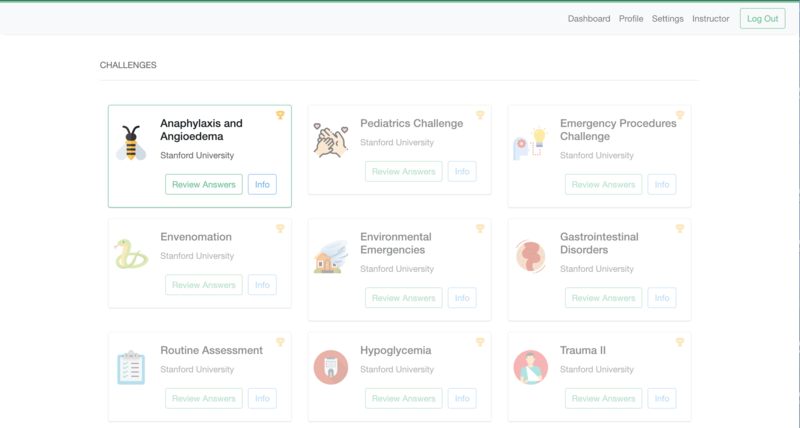 Our goal is to create and deliver an online and mobile platform to assess knowledge and help educate an emerging emergency medical service in India of over 18,000 medical technicians and first responders. In the project titled, "Emerge Learning", users are able to increase and assess their medical knowledge through short interactive quizzes, track their statistics, and engage with world class educational content written by university professors and medical experts. 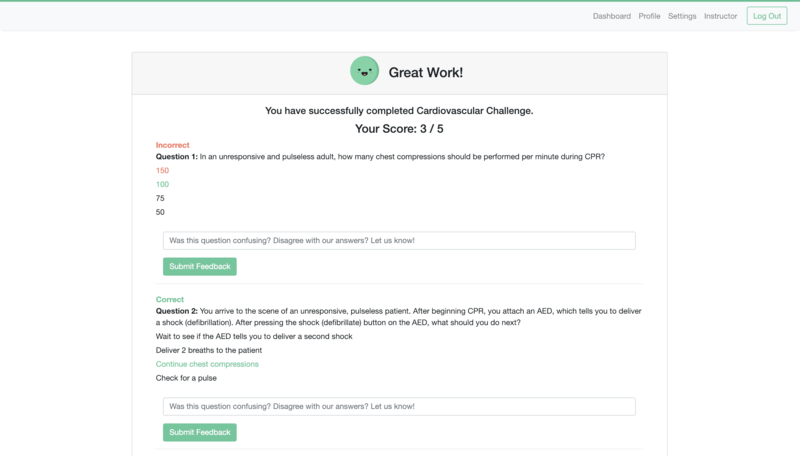 Additionally, medical instructors are able to source important data from user performance to better guide medical instruction and focus on the right areas. We have formulated, along with Medical professionals and EMT (Emergency Medical Technician) instructors, that online-education can be an effective medium to reach thousands of people across the varied geographies of India. Additionally, high-quality educational content and assessment can be implemented without the need for in-person resources that are both expensive and difficult to deliver at this scale. Below are images of the current (live) version of the site. The website is intended for both mobile and desktop use. The website is currently in open-beta at emergelearning.org, and will be deployed for initial use on February 17th at SAPCON, the largest EMT conference in India, with eventual roll out to all EMTs in the GVK EMRI emergency medicine system. Your contribution will help us with hosting and server costs associated with deploying a large-scale software application, as well as the transportation costs we need to travel to India and help ensure the reliability and efficacy of the platform among EMTs and medical professionals. We would like to thank you for helping us through this challenging and rewarding project. Thank you for helping us shape the future of medical education and ultimately save lives. We will include your name on the Emerge Learning website in a section called "contributors" under the Tier 4 Supporters section. We will include your name on the Emerge Learning website in a section called "contributors" under the Tier 3 supporters section. We will include your name on the Emerge Learning website in a section called "contributors" under the Tier 2 supporters section. We will also send you a handwritten note signed by all members of Medical Technology at Berkeley thanking you for your generous contribution. We will include your name on the Emerge Learning website in a section called "contributors" under the Tier 1 supporters section. We will also send you a short personalized video thanking you for your generous contribution.